One of the main causes of teen depression seems to be an imbalance of neurotransmitters, or chemicals that carry signals in the brain. Scientists are not sure what causes this imbalance, but this aspect of depression may be genetic. Having a parent with depression increases the risk that a teen will have depression. Researchers are unsure whether this is due to genetic factors in depression or if actions or attitudes leading to depression may be learned by the teen of a depressed parent. Traumatic life changes such as a move, divorce, death of a loved one, or even the loss of a friend or boy/girlfriend can bring on symptoms of depression. Though sadness is a part of the normal grieving process, when a teen cannot overcome this sadness it leads to depression. 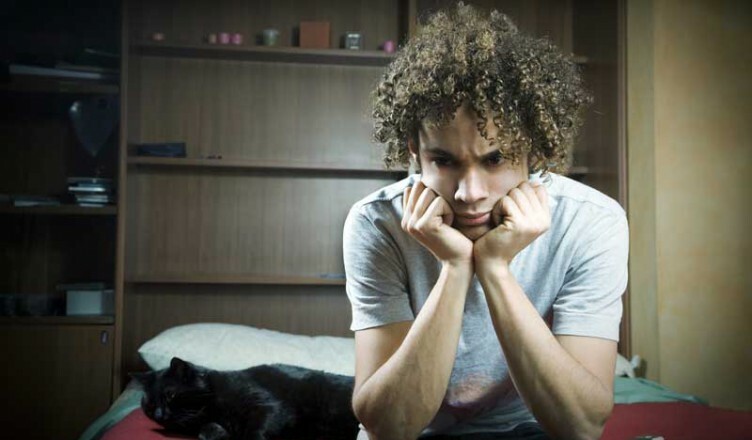 Other stresses, such as troubles at home, at school, or in relationships, or the normal challenges of being a teenager, sometimes contribute to depression. A negative outlook, either due to personality traits or negative past experiences, makes a person more likely to suffer from depression. Some examples of negative mindsets include taking personal blame for actions beyond one’s control, connecting the negative events that occur in life so that they seem to be a pattern of “nothing ever goes right,” seeing a temporary setback or bad situation as permanent, low self-esteem, and hopelessness. Teens who have not learned to handle the normal stresses of life well, or who face a trauma that they cannot deal with, often suffer from depression. Abuse?physical, emotional, or sexual?is one form of trauma associated with depression. Being bullied or being a bully can contribute to depression. Chronic illness or a debilitating injury can trigger teen depression, and some medications, infections, and illnesses can also bring on depression or symptoms that look like depression. Previous bouts of depression increase the risk that a teen will suffer from depression, and can cause or increase negative mindsets. Suffering from another untreated mental disorder, such as an eating disorder, anxiety disorder, attention deficit/hyperactivity disorder (ADHD or ADD), or conduct disorder can increase the risk of teen depression. ? Scientists have linked the use of drugs or alcohol to the onset of teen depression. Other poor health choices, such as not eating right, exercising, or getting enough sleep, and not being involved in positive activities, have been linked to episodes of teen depression. Teenaged or adolescent girls going through puberty are at higher risk for depression. Though there are some negative choices a teenager or parent may have made that contributed to teen depression, many of the causes of depression are outside anyone’s control. Teens should not feel that they deserve to feel depressed, nor should parents spend time blaming themselves for their teen’s depression. It is important to remember that negative patterns can be changed and most teens with depression feel better with treatment.